Is there any such thing as a 'good bank'? Banker bashing may be as popular as ever, but "good" banks do exist - you just have to dig a little deeper to find them. But just as 'eating well' could mean eating organically, locally, large portions or with the least impact on the environment, choosing a good bank is not a straightforward task. You need to know which one fits your ethics and morals, and why. Since the banking crisis and subsequent recession, there has been a resurgence in the building society sector. Mutuals like the Scottish Building Society, Yorkshire Building Society and, of course, Nationwide, have once again started to capture the nation's attention. These groups offer banking and lending services, specialising in mortgages, and they stand out because, unlike most banks, they don't have shareholders. Instead, they run on the principle of raising money through their 'members' (essentially, customers). 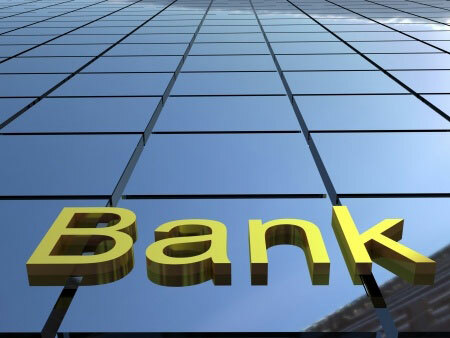 The money deposited in bank accounts, and earned on loans and mortgages, is used to fund more lending and offer better interest rates, thus growing the company for the mutual benefit of all. The problem with building societies is that they are not necessarily more stable than banks. Since they only make money from lending, there's nothing to support them in the event of widespread default (failure to pay). In fact, several collapsed during the recession. That's why certain banks are putting their own twist on the mutual approach. TSB is a good example. Its business model is focussed on lending out the money deposited by their banking customers via small business loans and mortgages. But, unlike mutuals, TSB will be funded by shareholders when it divests from Lloyds: meaning that some funds will go towards paying dividends, but also that the bank can go to the market for funds during tough times. This gives them, and your money, a safety net that mutuals don't have. Of course, most banks currently invest their money much more widely. And with this comes ethical concerns. That's why some banks, notably the Co-Operative, value their Ethical Plan above profits and, arguably, customer service. Customers who wish to ensure that their funds aren't invested in arms, or that they support fair trade, can find a surprising number of options. Each bank will have different objectives, like Reliance, which supports the evangelical work of the Salvation Army, or the Islamic Bank of Britain, which is the only Sharia compliant UK bank and comes with a string of ethical policies many people would agree are good. Of course, as the revelations about the Co-Operative Bank's chairman Paul Flowers and the subsequent debate over massive increases to executive pay show, banks are prone to change. Customers should always exercise their right to switch. Likewise, if banking at a customer service focussed chain like newbie Metro seems good for a current account, you can still obtain a credit card from a provider with better rates, or a stronger ethical policy, and obtain a mortgage from a mutual. Don't be afraid of having multiple providers to ensure your aims are met. In short, though it's impossible for a bank to be good at everything, you can still find good banking services for all of your needs. And with our free, secure budgeting software you can keep track of your finances across numerous accounts.